Union Minister for Road Transport and Highways Nitin Gadkari on Tuesday condemned the language used on social media to troll External Affairs Minister (EAM) Sushma Swaraj in connection with the passport issuance of an inter-faith couple. Last week, Swaraj received a flurry of abusive tweets after the transfer of a passport officer who allegedly humiliated an inter-faith couple in Lucknow. She had re-tweeted and liked many of the tweets she received. 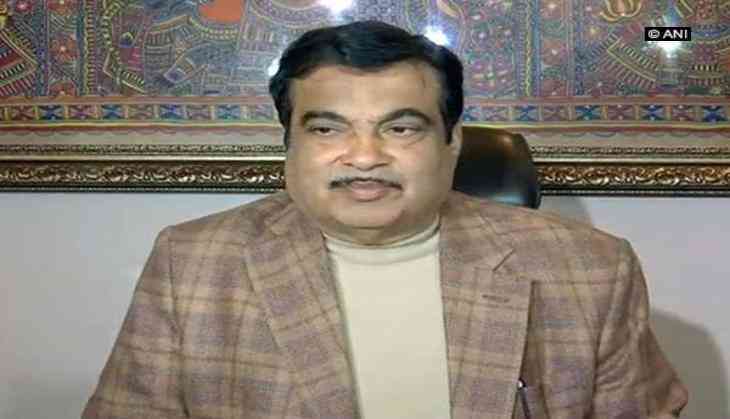 Extending his support to Swaraj, Gadkari said, "It's sad to know that a person like Sushma ji is trolled when she was not in the country to look into the matter then. The way the people are objecting her is sad. She is also a senior politician." "We must respect each other and must never indulge in any form of verbal abuse. People should also take responsibility over their comments on social media," he added. On a related note, Union Home Minister Rajnath Singh had yesterday said it is "absolutely wrong" to troll Sushma Swaraj in connection with the same. On June 30, the External Affairs Minister had started a Twitter poll against the trolling, asking her followers if they support it or not. Out of 1,24,305 votes, the poll, which ended on Sunday, saw 57 percent people not going in favour of the trolling. The EAM was on her week-long visit to four European nations when she received a series of tweets from the inter-faith couple, Tanvi Seth and her husband Mohammad Anas Siddiqui. They were harassed by an officer at a Lucknow passport office, as the Tanvi was married to a Muslim and opted to change her name. Following this, the regional passport office in Lucknow transferred the concerned officer and also issued passports to the couple.